Our Mayfair Frame is simply gorgeous! 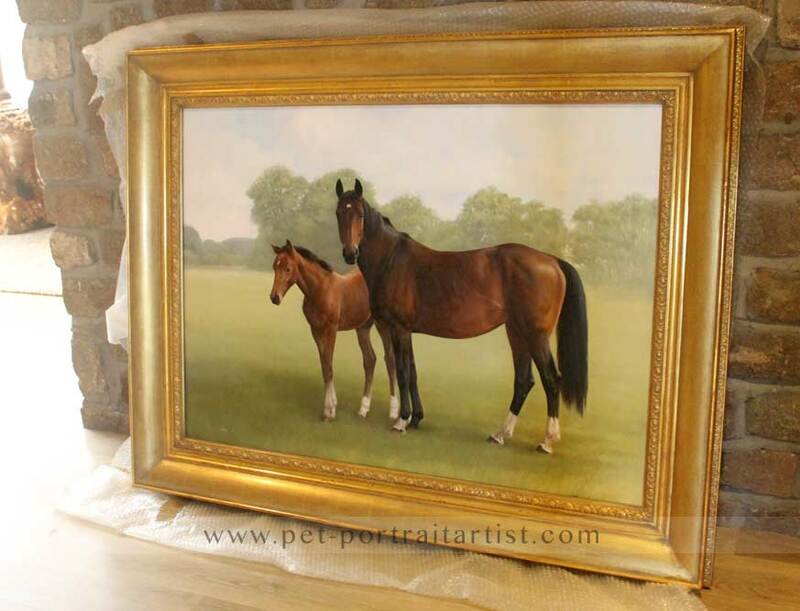 This frame is reserved for our larger oil paintings as the moulding width is 5 inches wide. 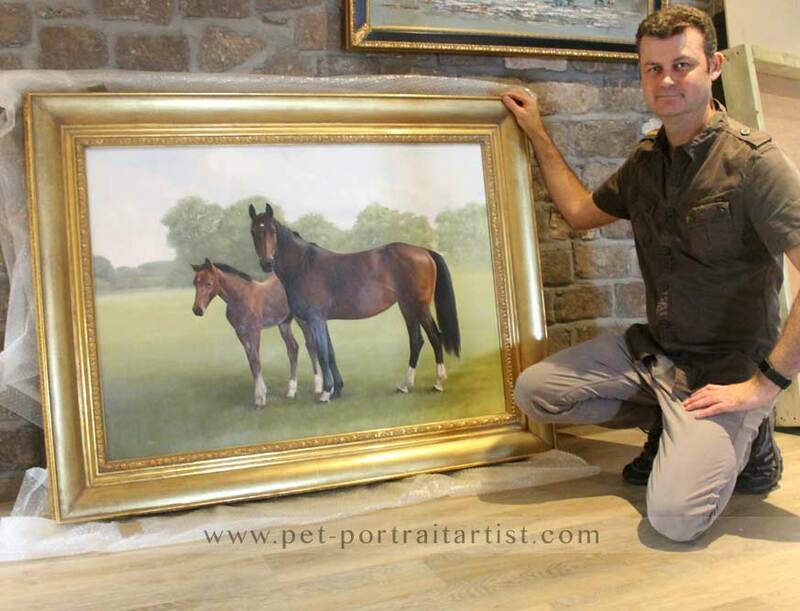 As you can see form a few of the photos below, the frame was used for a large horse painting and we delivered it to our cleints home personally and took phtoos ready fro the bigh birthday reveal. It is a simply stunning frame and it will generate lots of comments from viewers when they wall into a room and see it. It is not overly ornate so wont draw the eye away from the oil painting and the curve of the frame brings the eye on into the painting. 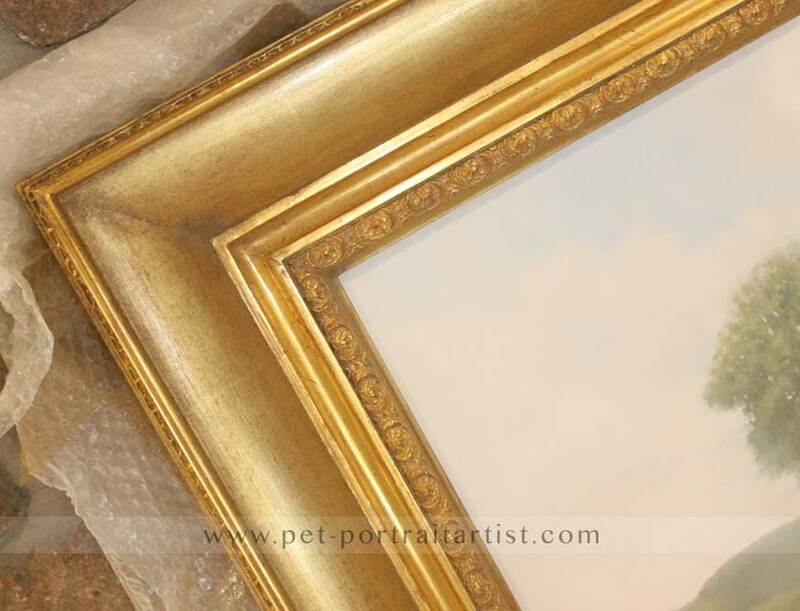 The reason frames were made like this many years ago was to reflect light from the gold frame down into the painting and this is a wonderful example of this. 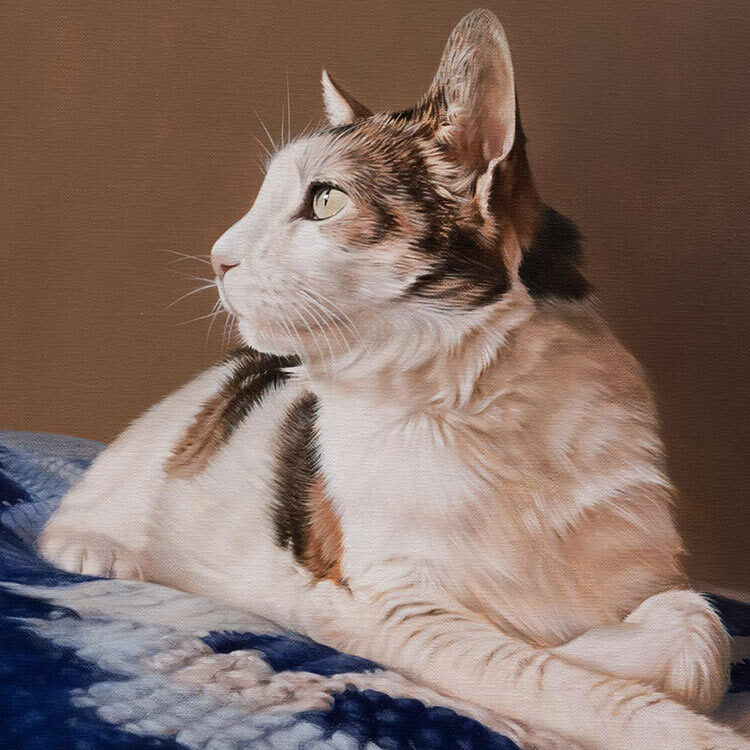 I can imagine a drawing room in Victorian times, with rich dark wallpaper and lamplight, with this frame displayed on the wall, glimmering in the light, drawing the viewer in to come over to study the painting. The frame has a decorative inner edge depicting an oval leaf pattern. 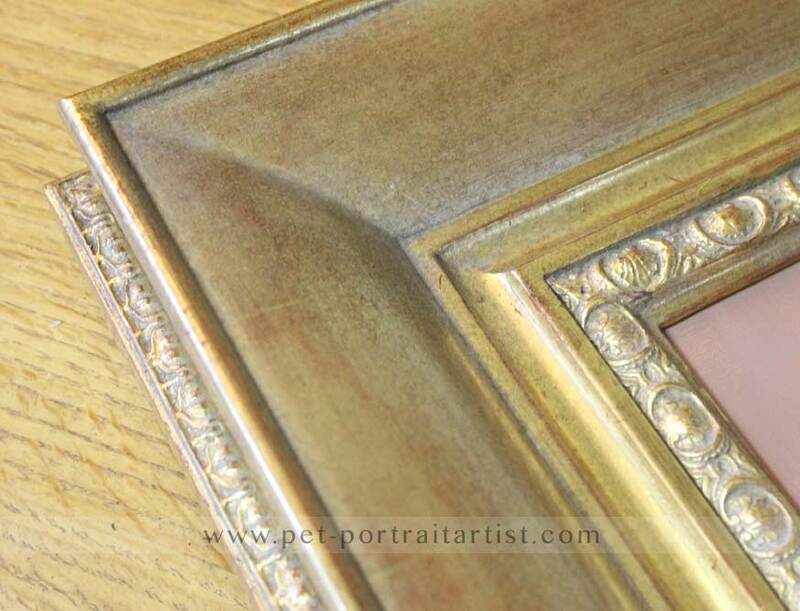 Complimenting this, the outer edge has a similar simple design, which finishes the edging of the frame beautifully. 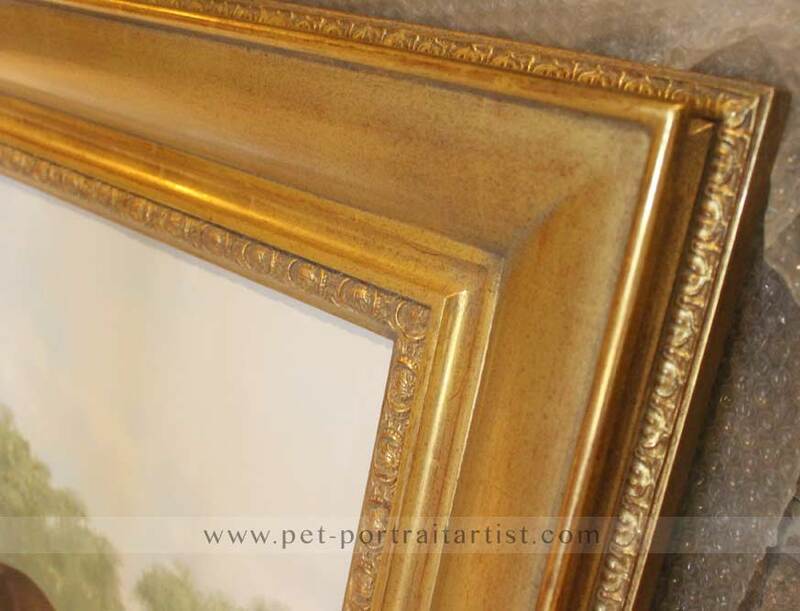 The colour of this frame is Gold Leaf and Bronze and overall has a warm undertone of red covered in a warm gold. it is very subtle and beautify and is not at all overpowering. The frame is a very solid and heavy frame, beautifully hand crafted and each of these frames are hand made bespoke for each client. 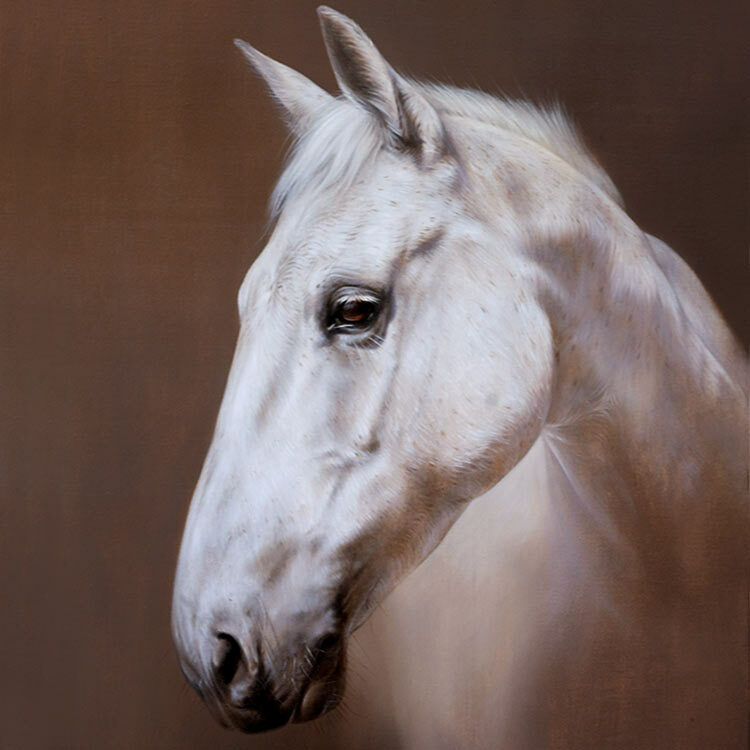 It would suit a larger room, would look incredible over a fireplace and works well with Nicholas' oil paintings at sizes 24 x 18 and above. You are more than welcome to email us if you would like any more information. If you are looking for the wow factor in a frame, Mayfair is your perfect choice. You've absolutely nailed it. Beautiful. The way you have treated Butu's eyes, they follow one around the room. Terrific. We also like the way you have downplayed the background to draw more attention to Butu, and eliminating the purple flowers which were a bit distracting in the original photos. 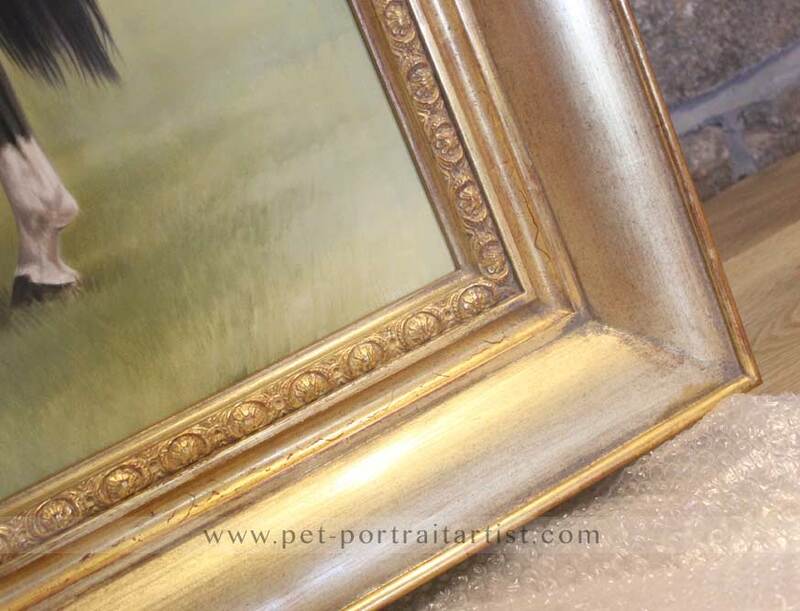 Our Notting Hill Frame is beautiful and is suitable for both oils and pencil pet portraits.